Check your local magazine racks! 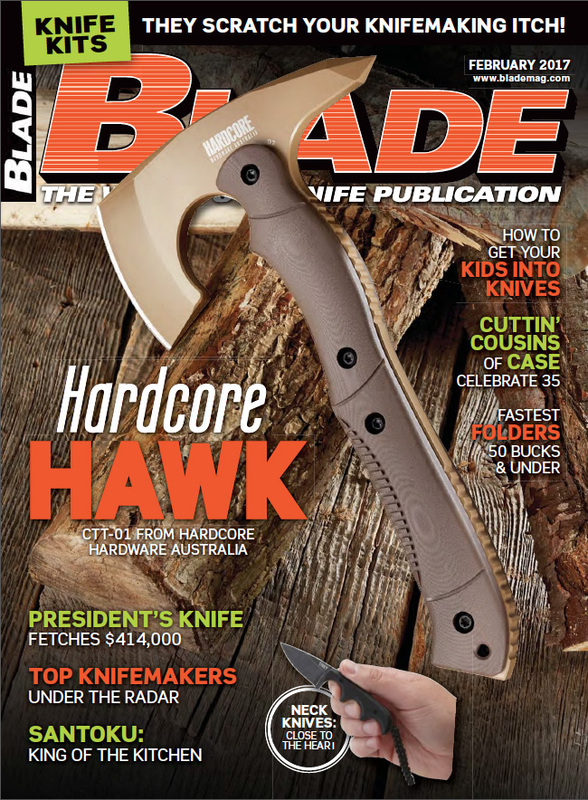 Rick has been named among some exceedingly talented makers in Blade magazine’s February 2017 article “Under the Radar – Knifemakers”. Yes…quite possibly his head has gotten bigger. Joking aside, I’m really proud of that man. This entry was posted in Editorial, Knives, News and tagged Blade, Blade Magazine, bladesmith, bladesmithing, home based business, Lunenburg, Nova Scotia, Rick Marchand, Wildertools.